Co-creation is nowadays a key concept of participatory foresight. The definition of co-creation is not easy or and the issue not self-evident, at least not in scientific discussions. Typically, co-creation is associated with service design and development of new services and goods. Co-creation methods and tools can also be used in organizational strategy and vision processes. Nowadays innovation management includes proactive use of co-creation methods and tools, especially when end-users, lead-users and consumers are taken into innovation processes. The approaches of open business models, collaboration with users, customization of products, consumption, co-production, service exchange, retailing, business solutions with knowledge sharing, and participatory roles of consumers, communities and crowds are linked to co-creating processes. All these approaches are based on the fact that human beings are social creatures. We can also link these diverse approaches to emerging trend of the sharing economy. We can claim that co-creation is not something new and fresh in the field of innovation management. Co-creation has always been a part of idea creation and innovations. The history of innovation cannot be understood without understanding co-creation as a part of innovation processes. Co-creation is also an elementary part of value creation in business life. For example, David Teece´s classical Sensing-Seizing-Transformation -business model does not work without some forms of co-creation and foresight. Dynamic capabilities are fully utilised only with co-creation tools and methods. As we know dynamic capability is “the firm’s ability to integrate, build, and reconfigure internal and external competences to address rapidly changing environments”. David Teece’s mentor was Nobel laureate Oliver Williamson. David Teece’s work, in turn, influenced management strategy theorist Gary Pisano and business innovation expert Henry Chesbrough, who were his students and collaborators. In a way, we can claim that Open Innovation paradigm was a result of co-creation by these grand economists and business modelling thinkers, even if Henry Chesbrough is sometimes credited alone as ‘the father of Open Innovation’. 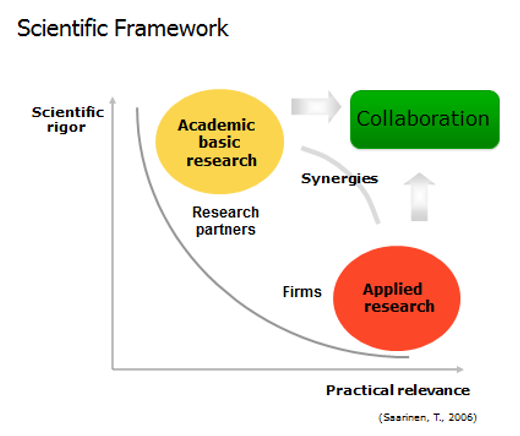 Co-creation of various experts and scientists is often in the background of scientific and business breakthroughs. Orchestration of excellency in business life requires nowadays novel tools of co-creation. Value creational systems do not work without interactive co-creation processes, especially when we talk about more and more digitalized world. In analogical reality creation was more simple and less complex issue. Today the trend is: We are moving from creation to co-creation and driver is digitalization. There are many reasons for the big change from creation to co-creation. Today technology and digitalization had changed how hyper-individualized persons and things affect each other. Things are today connected and smarter than before. Globally, Nokia´s “Connecting People” slogan is now more real than before. Also discovery processes are today more complex than before. Process of justification in innovation process is in many ways more complex than before. For example, nowadays, Service Dominant Logic (SDL) is more demanding principle than old Service Logic (SL). This means that process of justification in innovation process is more demanding and complex. This means also that foresight activities should take SDL more seriously in the business world. Interactional creation, co-creation has become to be practiced with dynamic interactions of artefacts, persons, processes. and interfaces. Dynamics of co-creation is a different and more complex challenge than just dynamics of individual creation. Today interaction is not “one-way street”. Progress in innovation processes is based on “two-way” or “multiple highways”. Arrangements are “put into motion” through interactions, which include elements of “upward causality” and “downward causality”. Interactive platforms of digital economy have changed the nature of interactions. Typical platform includes the components of Artefacts, Persons, Processes and Interfaces (APPI). All the elements are drivers of change in the digitalized network economy. For example, Industry 4.0 challenge includes dynamic development of APPI drivers. Corporations, which can develop dynamic APPI systems and platforms are the winners in the global economy. Everybody knows who are these global growth giants, who master the most successful APPIs. 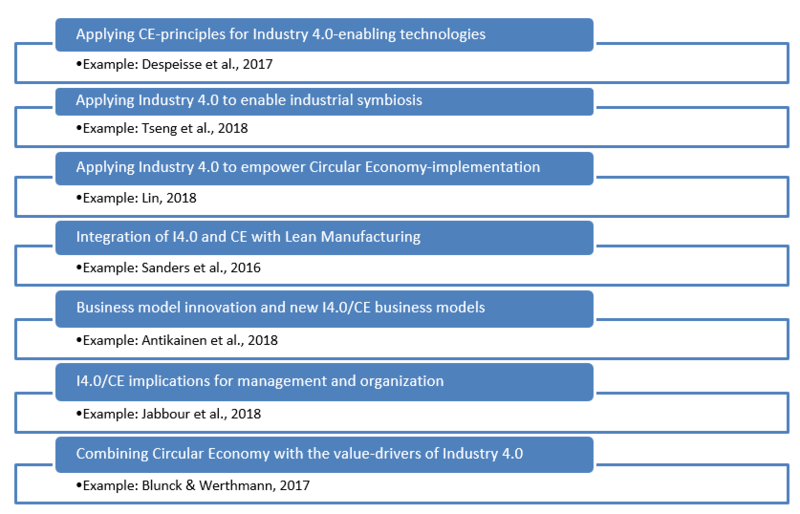 The MFG4.0 project´s main goal is to produce academic publications and elaborate new innovative products and services, business models and entrepreneurship ideas for Finnish society, researchers and enterprises. Finland has invested a lot in developing new technologies, but what the most important innovations, intelligent products and services for citizens are, is an issue not too much discussed. The adaptive and renewal capacity of Finnish innovation ecosystem management will be tested during coming years of global disruptive technological transformation. The list of ”the next big things” has gradually grown longer and longer during last years. Various technology foresight studies indicate that disruptive technological changes will be a key element on changing global economic and social environment. Final outcomes of disruption are not self-evident. Between now and 2025 disruptive technological transformation will be considerable. The so-called GRIN-waves (Gene technology, Robotics, Informatics and Nanotechnology) contain some key technologies that have great disruptive impacts on economies, business models, and everyday life of people. From this disruptive and risky technology perspective it is important, and we aim to develop new approaches to these disruptive technologies and innovations. We can claim that co-creation is key element of disruption management in business. Already very influential McKinsey study (2013) identified 12 potentially disruptive technology waves, but in reality disruption will be realized in different markets and global value chains and networks. Technologies do not alone co-create anything. There are broad ways of co-creations like submitting, co-designing, tinkering, collaborating etc. Humans do this part of development, not AI, robots or other digital solutions alone. In Figure 1 relevant scientific framework of ongoing research is figured out. There are thematic elements in the project: Academic basic research, applied research and collaboration. The academic research provides the backbone and analysis framework for the project. The special added value of the framework will include following issues: (1) New research findings relevant for joint public-private partnerships, (2) effective knowledge sharing of research outputs with private and public sector organizations, (3) co-creation of an interactive and digitalized innovations. It is important to integrate theoretical knowledge and practical communication with collaborators to better understanding of socio-technical transition (see e.g. Saarinen 2006). The research project will collaborate and disseminate the results widely through large collaborator and institution networks. We do collaboration with 40 institutional and company co-partners. Co-partners take part in surveys, collaboration, dissemination and utilization of research results and reports. Also, adaptive mechanisms of socio-technical regimes and niche micro management of SMEs and corporations will be developed towards more agile and flexible practices. 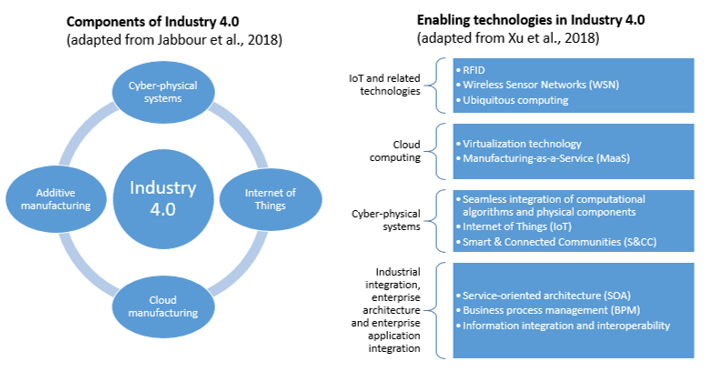 The MFG 4.0 research project includes various interactive and participative foresight processes for Finnish industries and business communities. The on-going research is tailored for improving competitiveness and smartness of Finnish economy in the long-run. Some of the new innovations may offer solutions to today´s social problems, ageing, health care, usage of renewable energy, traffic problems in the future. As a recent Open Innovation case study on how an online voluntary community contributes to medical record-keeping in developing countries succinctly puts it, “Write code, save lives” (Sims et al., 2018). The starting point for Finnish business may be very different, but the example shows the valuable co-creative potential of involving consumers, end-users and outsiders in innovation processes. This definition of co-creation means that every co-creation framework (CCF) involves a particular combination of APPI components that are implicated through the respective environment of nodal entity in a network. This definition can imply radical changes in business thinking. “Old fashioned thinking” of Business-to-Consumer (B2C) and Business-to-Business (B2B) are now changing to more complex direction, towards multiple linked I2S2I (system environments of platformed interactions) kind of business thinking. So what? We can always claim that co-creation is nothing new under the sun, but it in current form of thinking can change thinking and action in the business world dramatically. If we think futures of business world from co-creation perspective, co-creation research requires much more attention also in Finland. In future industrial manufacturing systems with dynamic information exchange between the full value chain from suppliers to end-users, understanding how to best organise and optimise co-creation of value can be the determining factor for developing a business advantage or withering away. Almost needless to say, co-creation can provide a lot of value-added for the public sector, too. Public organizations and agencies are not working in a vacuum of simple creation. Public agencies are also connected to global CCFs and APPI systems, where the perspective of individuals as experiencing actors with their co-creation experiences plays a central business role and has its own relevance. Already two co-creative thinkers can change the world. Futures business models are co-created with individualized immediate feedback loops, with new cooperating structures and platforms and with a new organizational logic. The Bioeconomy and Justice futures team continues its Open Horizon Scanning process with this second batch of found items. We thank readers who gave us positive feedback on the launch of this endeavor. We feel encouraged to continue this experimental series of blog posts. The BioEcoJust project is concerned with the ethical challenges humanity will face in the development of the bioeconomy between now and the year 2125. As part of a larger multi-method research process, we are conducting an ongoing horizon scanning process to inform, develop and test our research findings as we go. On any given week, we encounter a dozen or more items relevant to our research topic. These items can be anything, ranging from academic articles to internet memes. Our project’s futures team has established a practice of documenting, sharing, and reflecting upon these horizon scanning items as we find them. From these discussions, we develop sensemaking tools which we then use to notice new items and interpret them in relation to our project. And, to invite discussion about the items we present and their implications for the future of the bioeconomy. And, perhaps most important — the potential futures we see in the item. This batch of items all share a cross-cutting theme of bioeconomy and it’s potential to address climate change. They include an interactive article conveying the ranges of impacts of global warming, the role of climate change interventions by the wealthy philanthropists, the new global land-use degradation indicator announced by UNCCD, and the launch of a scientific debate regarding how suitable wood-based sources for energy are for reducing CO2 emissions. Carbon Brief (2018) Impacts and Uncertainty of 1.5C & 2.0C. Climate Change. (Accessed 10 October 2018). This item caught our attention in relation to the widely covered IPCC Special Report 15 released on 8 October. It is an interactive article by Carbon Brief about the ‘impacts of climate change at 1.5C, 2C and beyond. Based on 70 peer-reviewed recent climate studies, it briefly sketches out temperature differences and their impacts for the future in ten categories: Oceans, Ice, Temperature, Rainfall, Drought, Storms and flooding, Crops, Nature, Economy, and Health. Rather than being a simple list, this quantified analysis is presented as ranges of possible impacts and uncertainties while conveying the complicated interrelations among the impacts. For example, depending on if we are talking about 1.5 or 2.0C global average temperature increase, the sea level will rise between 59 and 61 cm by years 2100 and 2300, and warm spell durations will range between averages of 17 to 35 days of continuously warm (hot) weather per year. In 2015, a presentation by CICERO suggested that the IPCC scenarios of 2.0C increase were rather optimistic with one crucial factor hanging in the balance, the need for negative emissions through carbon capture. The technology and mechanisms for negative emissions are yet to be demonstrated and their viability at scale remains highly uncertain. Futurist’s ears perk up whenever uncertainty is discussed, as these are exactly the areas of the future requiring deeper exploration and bolder strategic action. This week’s IPCC report underlines the need to explore uncertainty to find solutions, to acknowledge the wide complexity of impacts, and the need for concerted and far-reaching action as soon as possible. In this sense, this item signals a coming maturation in discussions about climate change in which frameworks like this enable discussion about the uncertainty of warmer futures by specifying the variety of combinations of possible impacts. This horizon scanning item may also signal a wider strengthening of our Bio-Equality world’s influence on how people conceive of and act toward an ideal relationships among Humans, Technology, and Nature. At the very least, it is another call for greater awareness of how bold transformative actions are needed today in order to improve the options for people living 100 to 200 years from now. This item is an interview with author Anand Giridharadas who summarizes many key arguments he makes in his new book Winners Take All. The core of his argument is that the world’s wealthiest people are co-opting the concept of social change in their initiatives to do good. 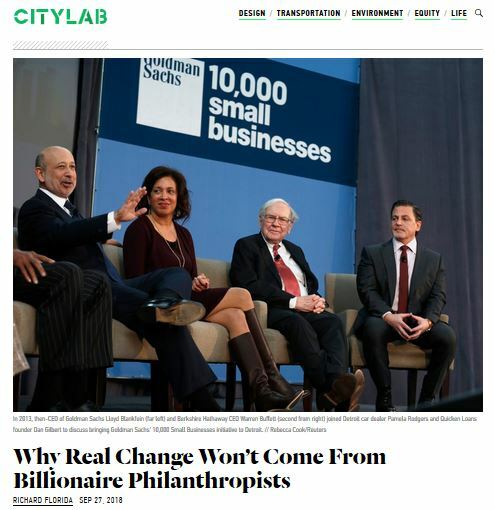 As wealthy people implement their own tools for social change, like social impact investing, change-driven invite-only events such as DAVOS, or personal ‘save-the-world’ pet projects, they simultaneously set the rules for how change should be enacted, closing out other options, and thereby reinforcing their economic power. We don’t necessarily agree or disagree with Giridharadas (we would need to read his book more closely), but we take his observation of this phenomena of what we’ll call ‘billionaire saviors’ as a starting point for exploring some fascinating future potentials. His criticism of the present class-based influences on the future reminds us of arguments made by Moore (2016). Moore rejects the ‘it’s all of humanity’s fault’ logic of many Anthropocene scholars and instead places the blame for environmental devastation and the looming climate crisis on historical Europe-led colonialism. These past actions dehumanized many non-European people and severely devalued nature in pursuit of capital accumulation. Moore’s point emphasizes the significance of how a small group of powerful actors fundamentally perceive nature’s value. In this light, how today’s billionaire saviors regard nature is quite important to how far we can go in righting the past wrongs of colonialism over the next 107 years. Both Giridharadas and Moore are part of a growing list of authors who either call for or predict the need for a new economic system in order to avoid the worst possible outcomes of the global warming crisis. These criticisms link to a sensemaking tool our Bioecojust team is developing regarding the future evolution of the global economy. In our opinion, the often taken-for-granted assumption that the current economic order will continue indefinitely is highly questionable. The overall economic order has changed so profoundly and so many times over the last 100 years that it is highly unlikely it won’t continue to change over the next 100 years. Yet, how can we imagine beyond what we already know? What new forms of ‘valuation of value’ can we expect in the future? (e.g. see 99 These on the Revaluation of Value ) How frequently can we expect the overall economic order change over the next 107 years, due to what factors, and what forms will it take? This horizon scanning item helps shed some light on these questions by naming a powerful mechanism shaping the present–that wealthy people apply their economic influence to produce change while perpetuating economic structures and systems that continue the destructive status quo. This phenomena of Billionaire Saviors intervening to make change cuts across all five of our BioWorlds as many actors in those worlds already are, or will soon be, mobilized by these types of funders. This phenomena is also present in the three socio-technological domains we are investigating–forests, soil, and algae–as private wealthy individuals play key roles in the development of all three domains. Billionaire Savior initiatives take the form of betting on single solutions to complex and nuanced problems. The motivations of these billionaire saviors are deeply linked with the human, nature, technology triangle as their expectations for how these relationships ‘should be’ profoundly structures the designs of their interventions. Even if these Billionaire Saviors can exert extraordinary influence on societal developments more rapidly than other types of actors, what happens when they are wrong? What other forms of change are overlooked? On a 107-year timeline, will their presence and influence increase or decrease? We note that the actions of Billionaire Saviors must be carefully watched in regards to the development of the Bioeconomy. We also note that doing something is better than doing nothing, even while we wonder what other forms of action could have a greater and longer lasting impact. UN Sustainable Development Goal 15.3 aims to ‘combat desertification, restore degraded land and soil–including land affected by desertification, drought and floods– and strive to achieve a land degradation-neutral world’ by 2030. The custodian agency of SDG Goal 15.3 is UNCCD and they are maintaining a knowledge hub to track its progress. 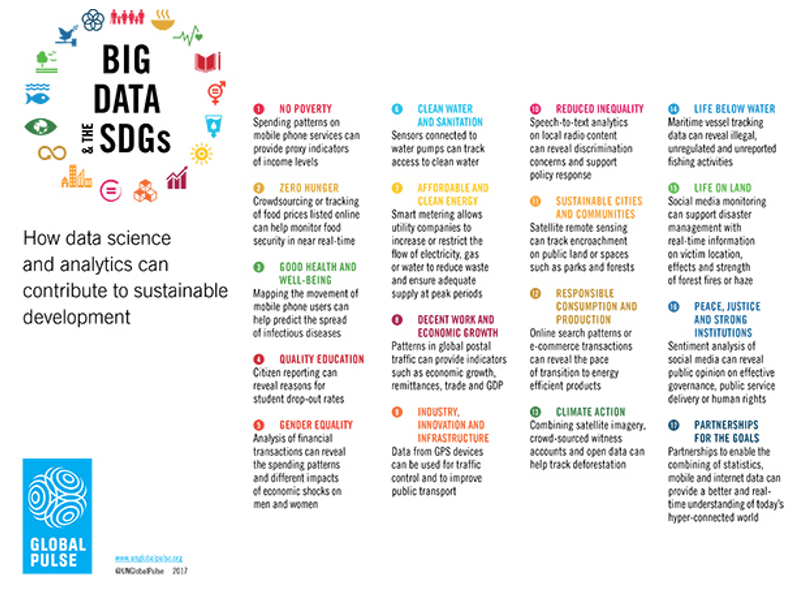 An infographic on the hub’s homepage shows how SDG 15.3 is linked to several other SDGs, including safe water, ending extreme poverty, ending hunger, and conserving ecosystems. This horizon scanning item includes both the Knowledge Hub and the Land Degradation Indicator 15.3.1 announced on it. This new indicator is good news for our project because Land Degradation due to human pressure and climate change is one of nine key influences on the year 2125 we’ve identified. Land degradation is a cross-cutting theme in our BioWorlds as well, especially BioUtility and BioRecovery which are at odds with each other in regards to land use. However, to date, there are many differing scientific approaches to assessing of how much of Earth’s land is degraded. So far, to understand the current status of this factor, we have been relying on the IPBES (2018) land degradation forecasts for 2050 and Gibbs and Salman’s (2015) harmonization of four land degradation measurement approaches. In the future, we look forward to having a standardized way to track land degradation. 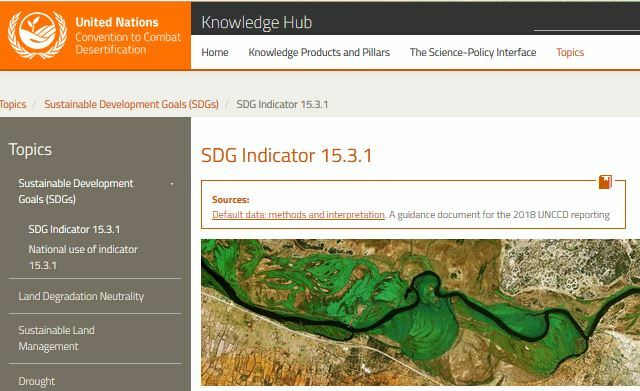 UNCCD plans to first publish Indicator 15.3.1 in February 2019 based on data gathered in 2018. After this, the indicator will be updated every four years. 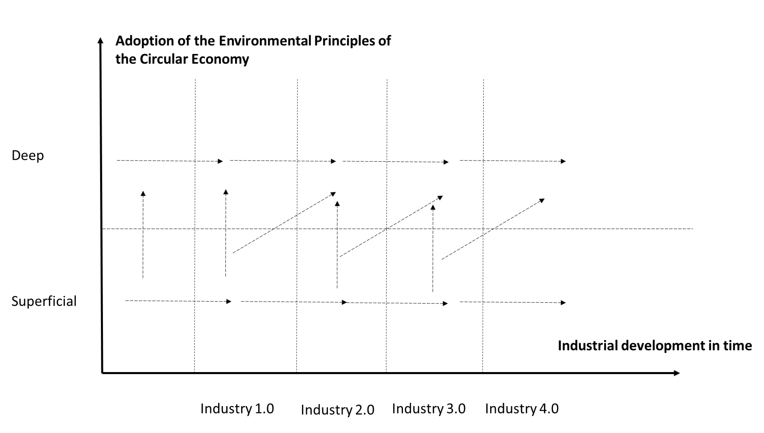 For key players in the bioeconomy (policymakers, business leaders, researchers, startups, etc.) this indicator will serve as a valuable metric by which to determine positive or negative impacts of their actions. For example, the key actors in our BioRecovery world, which features innovators deploying advanced technologies such as space-based monitoring, artificial intelligence, blockchain, and drones to rapidly restore critical ecosystems, could use this indicator to target their interventions, measure their successes, and communicate scientifically about their contributions. “Europe’s decision to promote the use of wood as a ‘renewable fuel’ will likely greatly increase Europe’s greenhouse gas emissions” states the Science Daily article about an academic commentary that summarizes a warning by 800 scientists about counting wood-based biofuels as a renewable energy source. With the pressures of climate change comes the urgent need to find alternative greener energy and fuel solutions that can replace global dependency on fossil fuels. The EU’s renewable energy directive has opted to identify wood and thus the forest sector as an attractive candidate. However wood as an inherent natural green solution is problematic when it comes to being utilised directly as a source of fuel because, as it is suggested in this item, it can produce more carbon emissions than fossil fuels, depending on the calculation methods and use of carbon offsets. Rather than focusing wood use on other areas like construction or new materials derived from cellulose, wood for fuel would push EU energy emissions over the limit, the scientists argue. This strategy also gives the green light globally for forests as a source of fuel, potentially resulting in dense precious forest areas of Brazil, for example, being cut at a large scale exclusively for biofuel. A potential impact is that using wood as fuel could become more profitable than applying it to other crucial innovative applications such as textiles, construction, chemicals, and medicines. Burning wood, or transforming it directly to fuel then, in this light, seems to be a primitive way to gain value from nature. It exemplifies the approach of some of the actors in our BioUtility world to maximise efficiency and replace fossil fuels with bio-based sources. An opposite value would be to see this precious forest resource as a valuable form of captured carbon and habitat for biodiversity, which is more in line with the values and motives of our Biorecovery and Bioequality worlds. However this commentary focuses the debate on an energy perspective that does not include other bioeconomy concepts, where convergences of added-value products cascade, and any energy is collected only after high value materials are extracted. The authors seem to overlook the emerging new conceptualization of bioeconomy as ‘circular bioeconomy’ which is emphasized in the new EU Bioeconomy Strategy, (EC 2018). This academic commentary, in our view, represents a central debate that could continue over the coming decades. Furthermore, the industrial interests of various nations come into play–if forestry is your nation’s largest industry the issue may be seen one way whereas if you nation’s largest industry is oil, the issue may be seen another. The debate is driven by anticipatory assumptions about winners and losers: When wood is seen as a key renewable energy source who wins? Who loses? And what are the unintended consequences? This debate may continue as a permanent, recurring feature of the bioeconomy. As an ‘unfurled dialectic’ – two opposing futures perpetually locked in conflict  (see Ahlqvist & Rhisart 2015) – it could define the direction and characteristics of the future bioeconomy for years to come. The key will be to see what is outside its framing to identify alternative configurations. This concludes our 2nd installment of the BioEcoJust Open Horizon Scan. We welcome your feedback, either via comments (below) or as an email to nabara (a) utu.fi. From schools to peer-to-peer -learning. How to live in Learning Intensive Society? About 40 representatives from academia, education administration and schools gathered to a morning session on the Future of Futures Literacy in Finland organized by UNESCO, Finnish National Board of Education and Finland Futures Research Centre on June 15th, 2018. The session explored futures of learning and ways of bringing futures literacy into the curriculum of Finnish education system. What is Futures Literacy and Futures Literacy Laboratory? Futures literacy refers to individual’s capability to use the future in the present. This is an increasingly valuable skill for people living in our complex and dynamic world. The capacity to observe and reflect upon how oneself and others “use the future” in the present can unlock great potentials for individuals, organizations, and society. Futures literacy laboratory (FLL) is a learning experiment that aims at making participants more aware of their own anticipatory assumptions and their ways of using the future. Therefore the main goal is not to produce new knowledge to decision-making, but to inspire participants to become more conscious about the future. However, as the participants are guided through the Lab and offered kind of ‘sandbox’ where to play with new framings and anticipatory assumptions about the future, interesting new ideas are often produced as a by-product. In this blog post we are introducing some of the interesting themes that were brought up at the FLL sandbox, where the play material consisted of futures of futures literacy and learning in Finland. Firstly, the importance of local communities was strongly brought up in the discussions. Local communities were seen as the core unit where people live, communicate and learn. What are these communities and how are they formed, was a question raised during the lab. Are they “bubbles” of like-minded people or more heterogeneous fractals? Inhabitants of these local communities have well-being in physical, emotional and spiritual sense as their life’s core value. This means that, for example, “work is organized for life” instead of “life being organized for work”. The local communities were also seen as the core setting where learning takes place, not anymore so much in schools but more in peer-to-peer networks. People can learn, for example, in heterarchical mentor-mentor –relationships, where both parties learn equally from each other instead of more traditional mentor-actor or master-apprentice relationships. It was also noted that this kind of learning intensive society requires new kind of agency from the learners; everyone is responsible for their own learning and individual development. The question “Who owns the learning?” was emphasized in a sense that motivation and ownership of learning should always originate from inside the learner instead of outside from the teacher or other external motivations. In many visions school buildings had disappeared but teachers had not. In the learning intensive society teachers act as learning facilitators supporting individual learning. Teachers’ role as change agents was also seen crucial in the process of transforming our current learning system towards this new learning intensive society. How about the future of futures literacy? Some participants believed that futures literacy will still be too abstract to integrate it to the national education curriculum, while others were optimistic that futures literacy would become a basic skill for everyone. The main concern seemed to be polarization: what if futures literacy becomes a skill that helps those who have it to succeed and those who don’t have it to be condemned to be less successful. What we conclude is that if we are heading towards this kind of learning intensive society, where we own the responsibility of our own learning, futures literacy becomes even more essential. In this peer-to-peer-learning society futures literacy is like a compass that helps us to navigate and decide the direction we should focus our learning next. This is why we need to start building our individual, organizational and societal futures literacy skills today. This is something in which Finland can be a global forerunner, because we already have exceptionally strong tradition and institutions of futures studies and foresight in our country. Now we just need to mobilize this futures know-how and make it our shared capacity. In practice we can start mobilizing our futures know-how by embedding futures literacy in all the levels of our current education system. Futures literacy can be taught in schools as phenomenon-based multidisciplinary courses, or elements of it can be integrated in the existing study topics, such as history, geography or the language studies. This way we can make “futures” more approachable as a topic that everybody knows is important but few have capacity to comprehend. Thinking of Finland, futures literacy could indeed become the new competitive edge for our learning institutions. Futures literacy refers to a space of potential freedom inside our minds and hearts. Indeed, we can decide what kind of assumptions of the future we hold. Our hopes and our fears about future are very important vehicles in our journey towards future. Moreover, it is that mental space that creates opportunities for personal development and transformation. Simply put, our assumptions about future are the ways future exists in the present. For the young people in particular, going through their formative years, it is critically important that they learn to discover their futures through their assumptions. To build a positive and constructive vision of future on personal, local and global level is by far the best asset they can have in our complex and fast changing world. By facilitating these discoveries we can make a great contribution to their lives. This is what futures literacy is all about. The FLL was led by Head of Foresight Riel Miller from UNESCO and UNESCO Chair Markku Wilenius from Finland Futures Research Centre. Laura Pouru, Nicolas Balcom Raleigh, Ellinoora Leino-Richert, Marianna B. Ferreira-Aulu and Amos Taylor from the Finland Futures Research Centre organized and facilitated the group work sessions during the Lab. 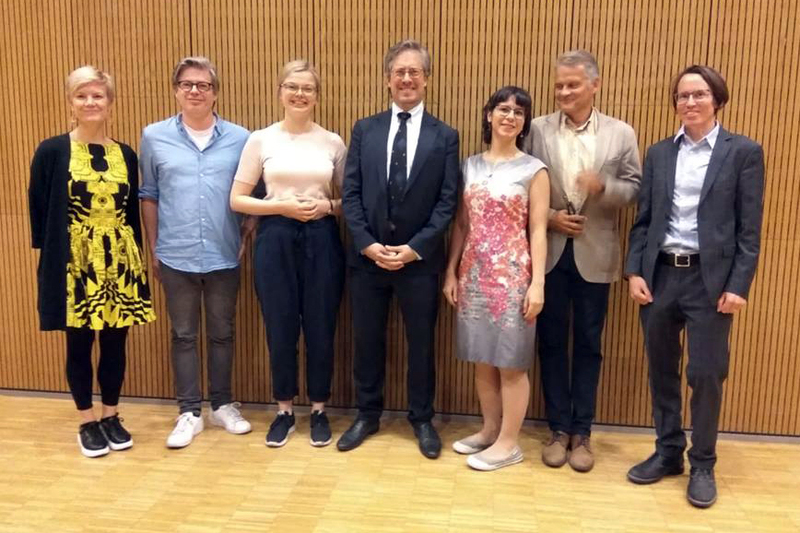 The session was organized as part of the research, development and education agenda of the UNESCO Chair in Learning Society & Futures of Education at the University of Turku. Balcom Raleigh, N.A. – Pouru, L. – Leino-Richert, E. – Parkkinen, M. – Wilenus, M. (2018) Futures Literacy Lab for education – Imagining Complex Futures of Human Settlements at Finland Futures Academy Summer School 2017. FFRC eBOOK 3/2018. Miller, R. (ed.) (2018) Transforming the Future: Anticipation in the 21st Century. Routledge.